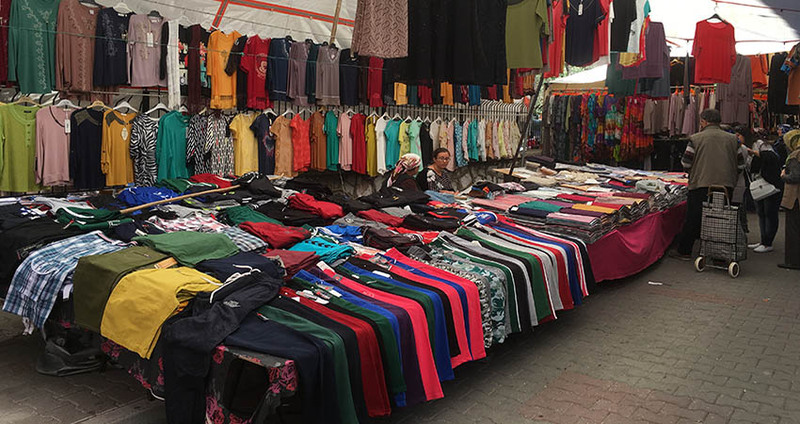 You can see the available dates for Marmaris Mugla Market. Please use the booking widget to make reservation. 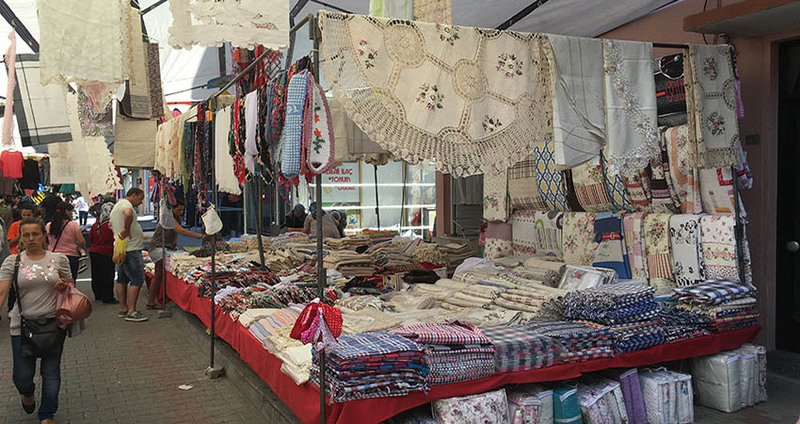 Our Marmaris Mugla Market Tour offers you an amazing opportunity to experience the real fun of shopping in a local market. 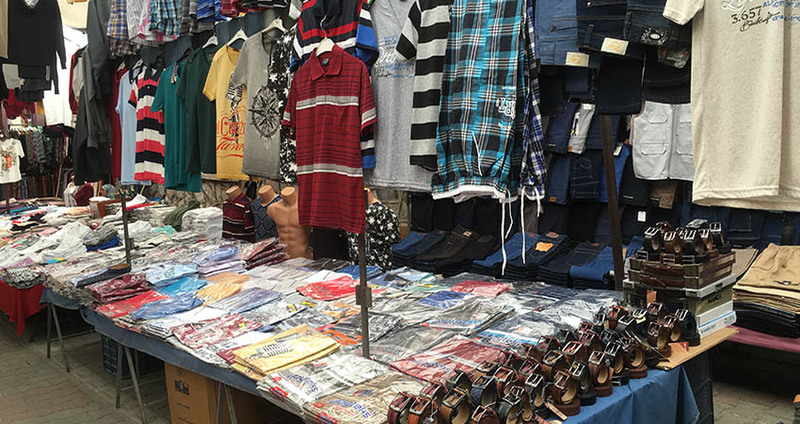 This local market near Marmaris has everything on sale from vegetables and fruits to fake jeans, shoes, shirts or handicrafts and perfumes. Mugla Market also offers you a world class food and drinks options too. 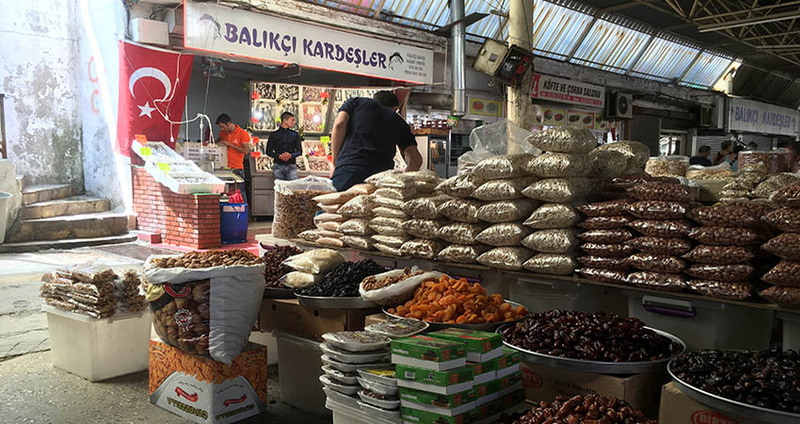 The restaurants lining the market are known for their authentic Turkish dishes and local as well as foreign drinks. Marmaris has now grown as a popular tourist destination but the local market in the town has been stopped by the local administrative authority. Tourists can find only vegetables and fruits on offer at the local market in Marmaris (Marmaris Thursay Market). 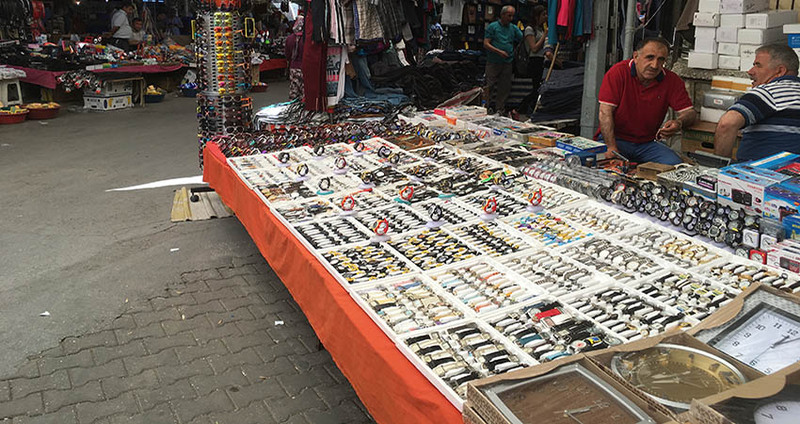 So Mugla Market has become popular after the local market in Marmaris was closed. This is the biggest local market around Marmaris and tourists from Marmaris flock to the Mugla local market to buy some souvenirs. 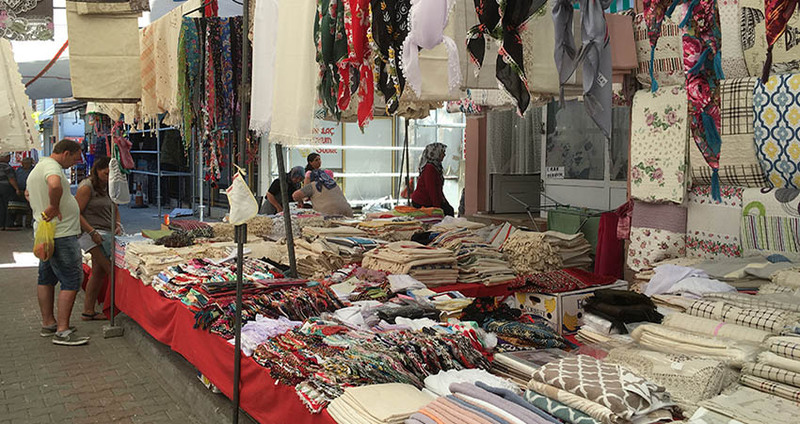 The Mugla Market is about 40 Km from Marmaris and can be easily reached within an hour in our comfortable air-conditioned buses. It’s A Different World Altogether! Unlike Marmaris, Mugla isn’t overcrowded with tourists. 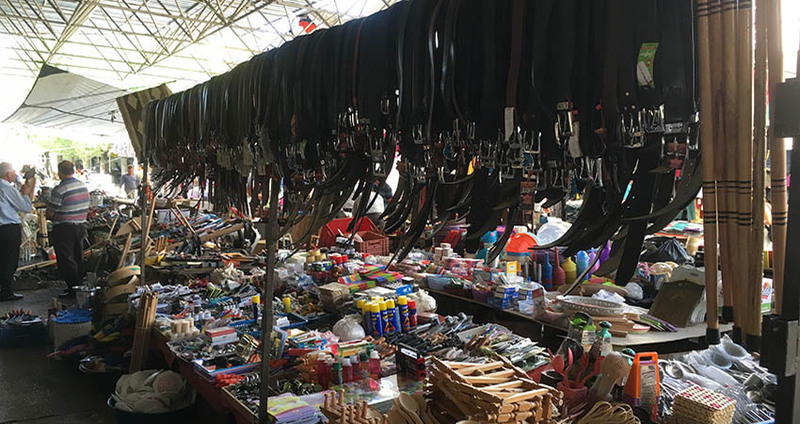 However, the market is quite big and offers one with a wide range of things on sale from daily needs to antiquities and handicrafts as souvenirs for travelers. Once you reach the market, you have 3 hours to roam about in the market and buy things you choose. Tourists can choose from a wide range of products like handicrafts, perfumes, t-shirts, rugs, and alike as souvenirs. This place is also a popular food junction. The restaurants lining the market and those in the town offer world class Turkish cuisines and tasty drinks of your choice. The local tea and coffee shops are an added attraction. 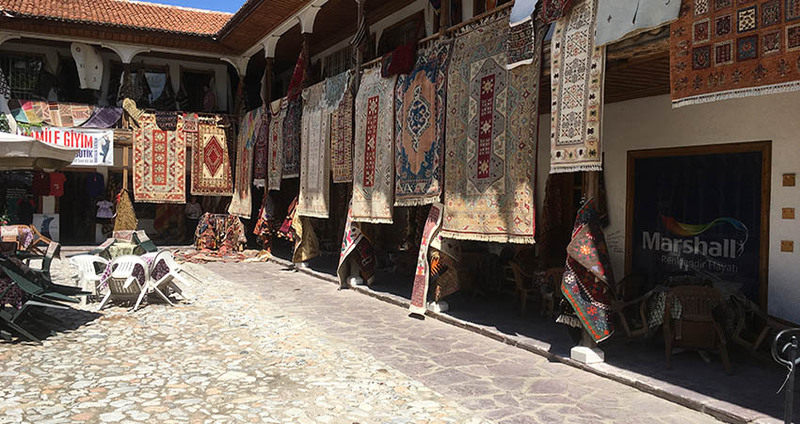 The Mugla local market tour offers you an excellent opportunity to see and appreciate the real lifestyle of the local people from a close quarter. 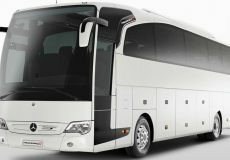 Instructions (English Speaking), Hotel Transfer, Full Insurance, Air Conditioned Bus. Drinks, All Food Options, Personal Expenditures. Keeping some Turkish Lira in cash with you is a good idea. 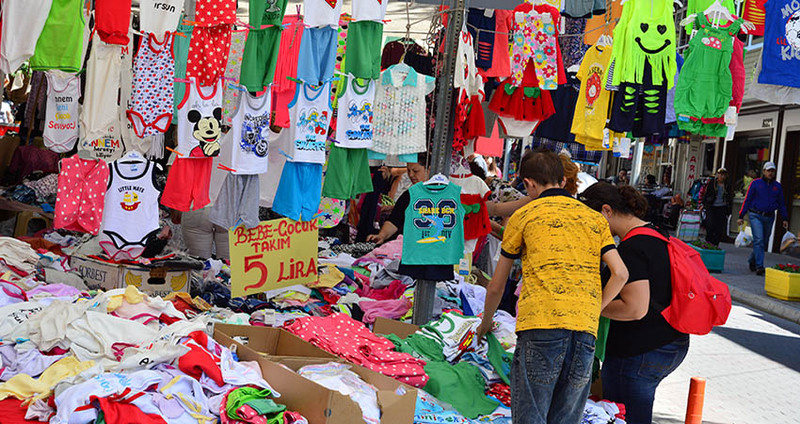 Categories of " Marmaris Mugla Market " Tour. Mugla can be an interesting place to visit - the views on the way are absolutely stunning! There is the old town in the city center. The city and market is very Turkish, you can have many different options to buy from local food, fruits to cloths. After all it is Turkey and I am sure you will love the market. How long does take to go to Mugla Market from Marmaris? The journey with our comfortable buses is not longer then 1 hour. 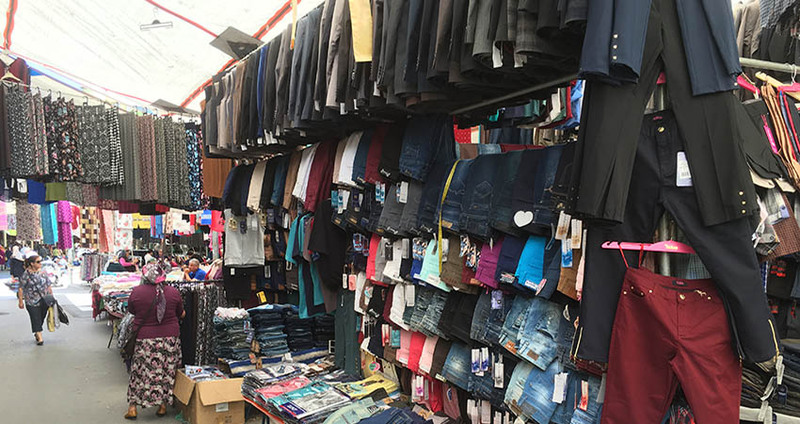 How long time we will have in Mugla Market for Shopping? You will have around 3 hours free time in the local market for shopping. No, but there are many different food options in and around the local market. 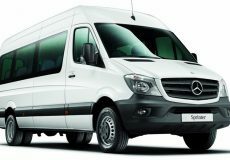 We arrange the most comfortable hotel transfers for our guests participating in this tour. We pick you from your hotels and without much delay we take you straight to the Mugla Local Market. This place is about 40 km from Marmaris and we will reach there within an hour. The tour price includes hotel transfers in our air conditioned buses, full insurance, and instructions at the market by an English guide. 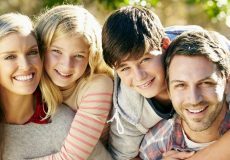 Food, drinks and other personal expenditures are not included in our tour. The local market at Mugla has a wide array of products on sale. From local food, vegetables, and other goods of local needs to fake jeans and perfumes are available for sale at the market. This wide range of products makes the market more colorful and for travelers it is more of a fun shopping around here. Most of the people in the market don’t speak English, use your talent to learn some Turkish and bargain for the best prices. The Mugla Market is much different from that of the Marmaris Market. All of the things available here are related to local needs. 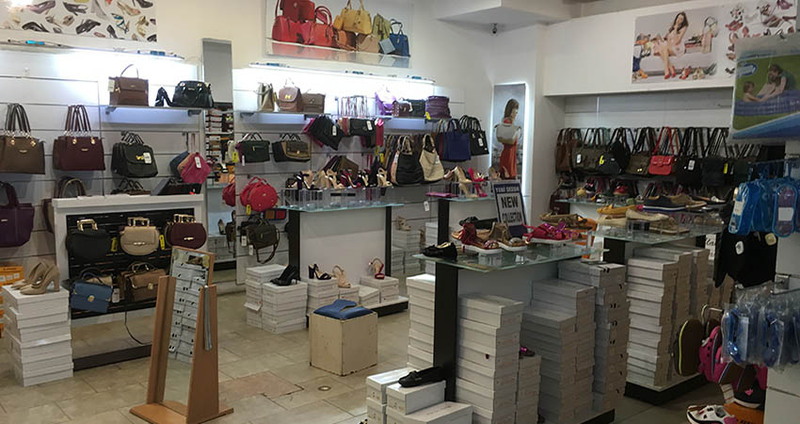 Apart from the goods of local needs you will also find fake jeans, handicrafts, and perfumes. The Mugla Local Market is one of the biggest market places around Marmaris. Though it’s big, it isn’t as busy as Marmaris. 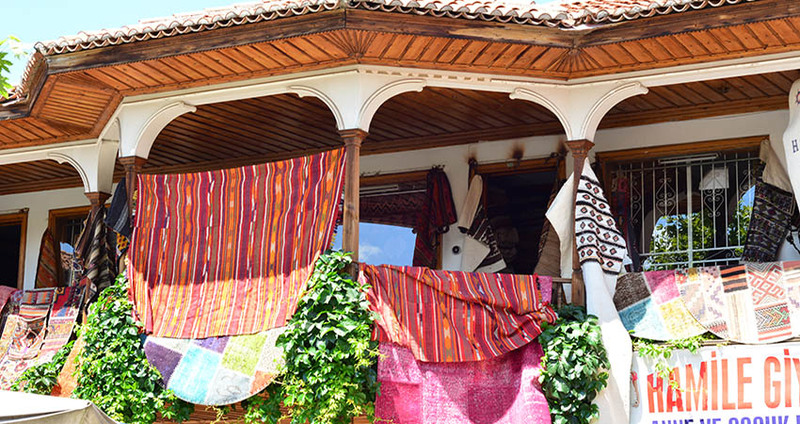 This tour can be a surprising day out different from the bustling resort town of Marmaris. Shopping in a local market is always fun. 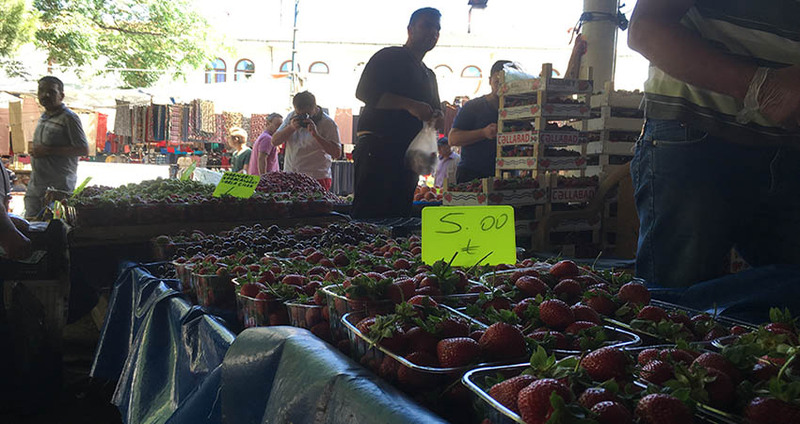 You can take pictures of your visit to the market and take them home as souvenirs. There is a good opportunity to taste the local food and drinks at the Mugla Local Market. You can choose the food and drink options as per your preference and needs. 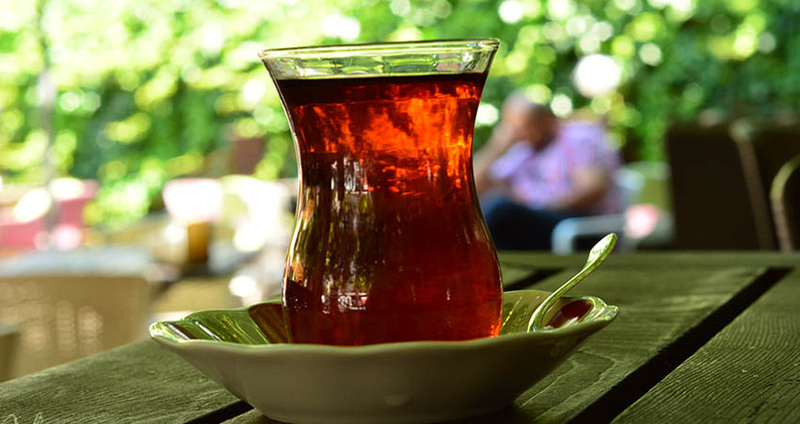 Local drinks like Turkish Tea and Coffee are good options. You can find a wide range of authentic local dishes at the restaurants lining the Mugla Market. 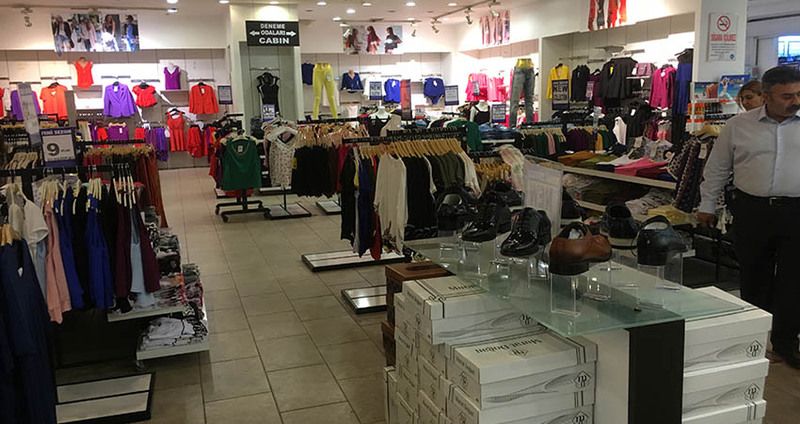 The shopping tour lasts for 5 hours and this includes 3 hours of complete shopping and walking through the market. After the shopping for 3 hours, we take you back to Marmaris, and drop you back to your place of stay. 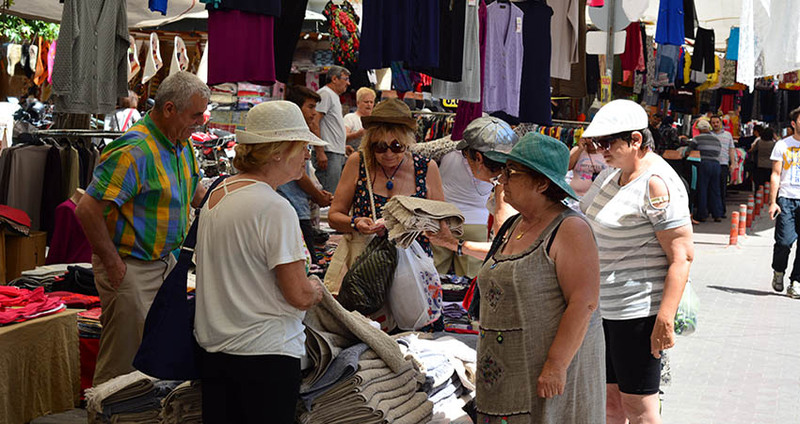 Some of the important facts and useful information about " Marmaris Mugla Market Tour "